Not exactly sure how Dropshipping works? Don’t worry, Dropship Bundles got you covered on yet another common question we often get from our audience. Let’s take a look into what really Dropshipping is – the exact meaning of it. In simpler terms, we will keep all inventory at our facility and ship them out to your clients on your behalf. This will save you lots of trips to the post office and of course, you’re hard earned money! Do you now have a better understanding of how Dropshipping works? If you’re vision is still a little fuzzy but you’re still interested in becoming a dropshipper to fulfill your hair brand dreams – then say hello to Hairuniversity. Once you become a Dropship Bundles member, you’re automatically accepted into Hairuniversity! Here you can find helpful video courses for you to watch and learn. We create these videos on topics that we feel are important for you to gain more insight and are also based off common customer questions we get every single day. So why not take those questions and turn them into something useful? 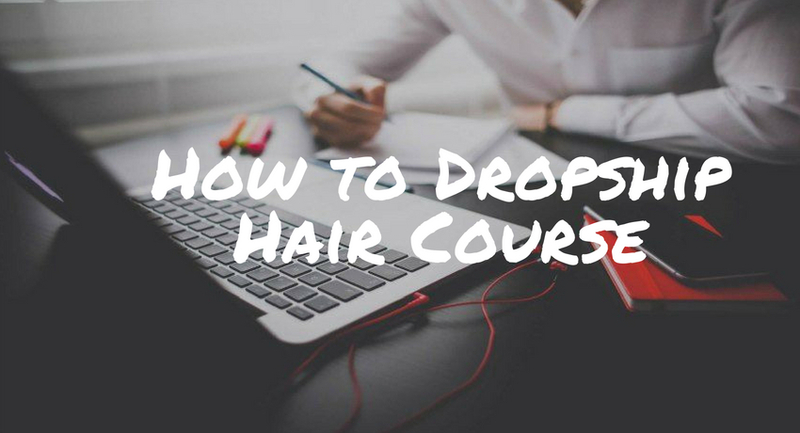 How to Dropship Hair Course teaches you exactly how our system works at Dropship Bundles so that you’re left with fewer questions and more dropship knowledge! First, we must know where to locate Hairuniversity. 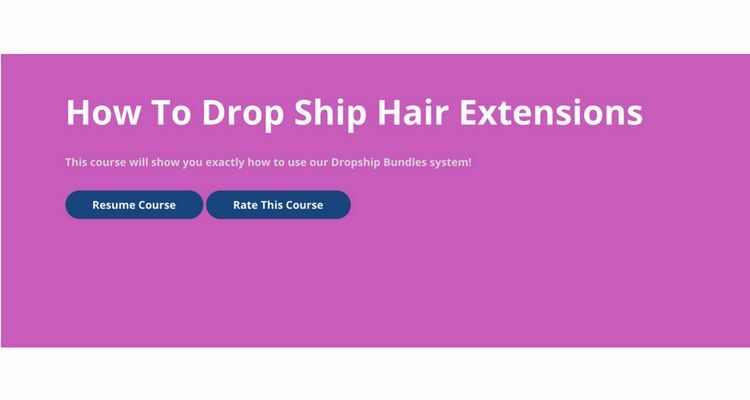 Our Hairuniversity courses will be located under “Courses” on the Dropship Bundles website homepage in the main header. Each course will be titled to what the videos are based on. 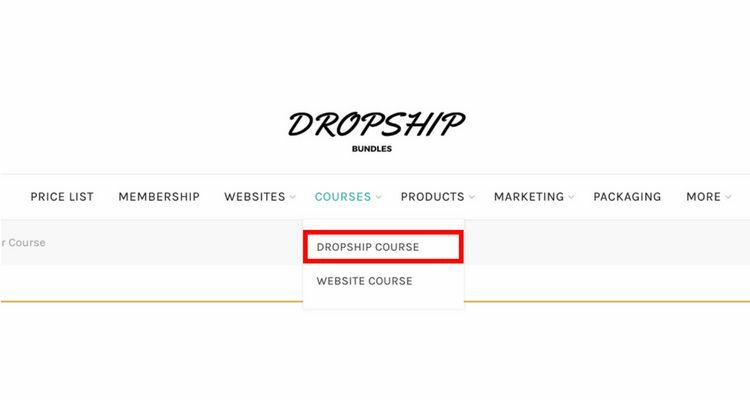 Today, we will be choosing “Dropship Course”. Click on “Enroll for Free”, or if you have already started your course, click on “Resume Course”. Viola! You’re now enrolled into Hair University! You should now be redirected to the page shown below. As you can see, all the videos are organized and broken down to different segments to show you exactly how Dropship Bundles work. We show you everything from logging into your membership account, accessing our digital marketing and media files, how to to send orders to your clients, and how to add custom branding to your orders. We believe that the best way to learn is to visually see how it works. Plus, the best part about Hairuniversity is that you can always refer back to our courses and re-watch them to help refresh your memory if needed. 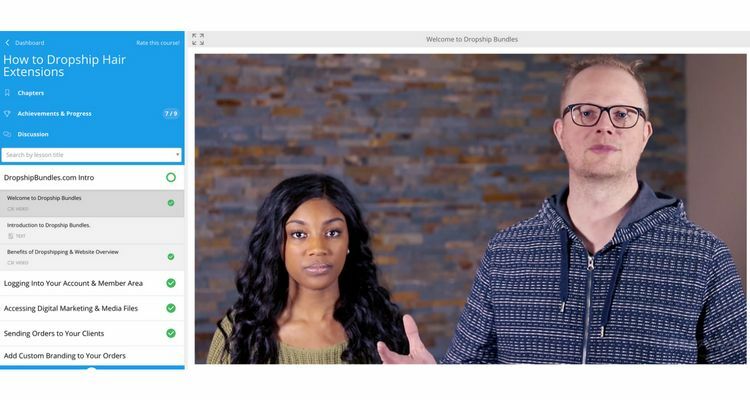 We hope that your vision and understanding of Dropship Bundles will be crystal clear once you complete our How to Dropship Hair course! You guys got this, Dropshippers!